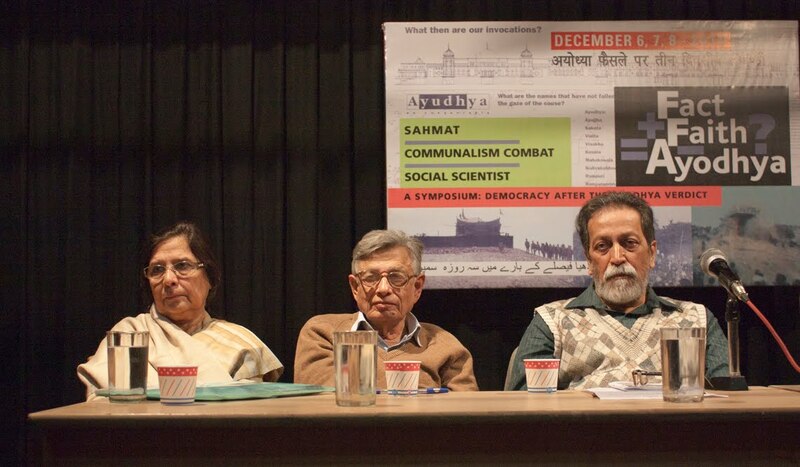 What Irfan Habib was doing at the “Convention for People’s Unity Against Communalism”? How and why anti-Modi, anti-BJP propaganda should be anti-Hindu? 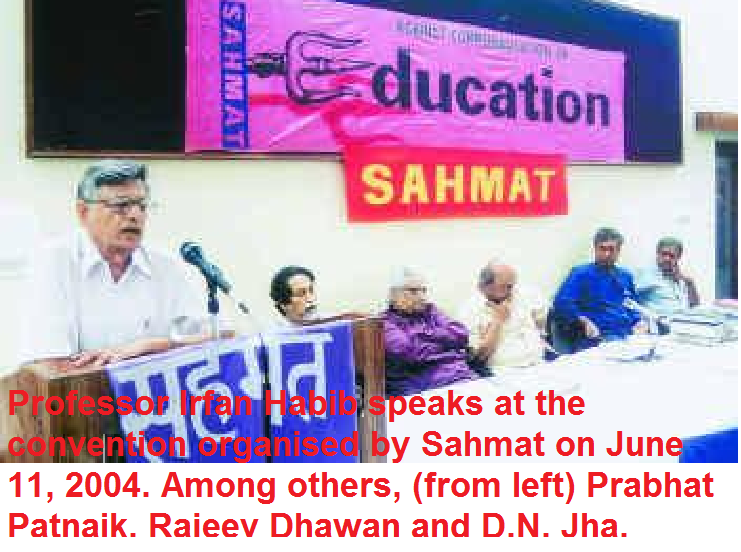 Comrade historian joins the “Third Front”: Inaugurating the convention, noted historian Irfan Habib, an Indian Marxist historian of ancient and medieval India, talked of how during the Partition there were enough instances of Hindu-Muslim amity. But he acknowledged the secular character of the country was hit by events like the 1984 anti-Sikh riots and the 2002 violence in Gujarat where Muslims were at the receiving end of Hindus. So, as usual, he just takes the balancing of “communalization” or “secularization” of the 1984 and 2002 events, but make others to forget the riots of other years. 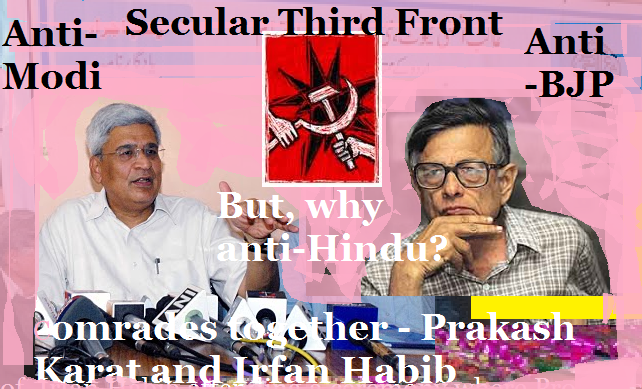 However, Indians know very well that Irfan Habib never cared for 1984 or the secular historians dominating the forums like Indian History Congress (IHC), Indian Council of Historical Research (ICHR), Forum for Secular Historians etc., and passing resolutions favouring “secular”, “non-communal”, “anti-communal” forces! Irfan Habib excused on health grounds, but inaugurated the Conference: Though, non-Congress secular political players have shown keen interest to join the left sponsored conclave, noted intellectuals with secular credentials are giving it a miss with alibis of health reasons or foreign trip preventing them to attend, though the convention enlisted as non-political participants of different calibres . 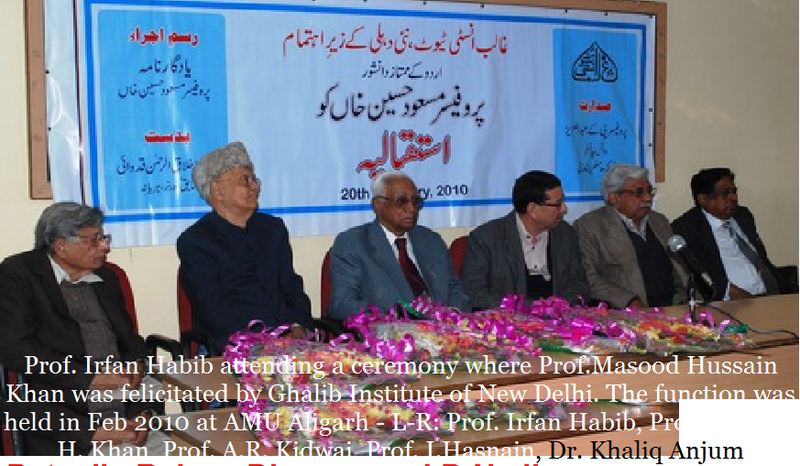 Irfan Habib excused himself on the health ground, but he inaugurated the conference. From this, Indians have to understand their true colours of opportunism, treacherous gangsterism, ideological duplicity etc. For appearing in Courts, the accused, appellants, respondents of various categories take shelter under “health grounds” to evade judicial proceedings. In the same way, “eminent, elite” historians also follow such judious-dodgers, but as Prakash Karat had obviously requested, indeed, he appeared and inaugurated! Anti-communal or anti-Modi or anti-BJP or anti-Hindu: Indian voters have to identify consciously, who have wanted to associate and parade as “secularists” in India against the interests of Indians under the guise of “secularism”, “communalism” and so on. Prof U R Ananda Murthy, Kannada literature. Politically, parties could be anti-Modi, anti-BJP etc., but how they could be anti-Hindu? How all the anti-Hindu forces, radical elements, fundamental ideologies and others gang themselves to drive the bandwagon of perfidious secularism? They should note how different categories of them come together. To give one example, in 2010 note the persons who came together: Justice P.B. Sawant, Justice Hosbet Suresh, Justice SHA Raza, Justice Rajinder Sachar, economist Professor Prabhat Patnaik, historians Professor Irfan Habib and Professor Shireen Moosvi, etc attended the three-day symposium “Faith and Fact: Democracy after the Ayodhya Verdict” and gave sermons as usual. About NCERT text books, again they come together. They do not care for Supreme court judgments, though very often, they sermon that judiciary should be respected and so on! Therefore, “secular Indians” cannot keep silence about these personalities playing double game with Indian citizens. They have to identify them and unveil them. “The Hindu” does not know Irfan Habib: “The Hindu”, as usual, characteristically reported under the caption “Congress wary of Delhi meet helping BJP”, without mentioning that the comrade Irfan Habib inaugurated the conference. Ironically, though it elaborates about “attack on Congress”, it suppresses many facts including one that Congress was very happy to support and even sponsor it indirectly as Arnav Goswami was suggesting in the evening. “The Hindu”, though poses as “secularist”, now perhaps, everybody has understood that it has been “anti-Hindu”, carrying on its propaganda. Even in the case of RJM issue, how it suppressed the writings of Dr R Nagaswamy, K. V. Raman and other historians is well-known. “India is a country with various religions, languages, castes and cultures. But there is an underlying unity in the diversity. A unity, which is based on the unity of the people, which makes us all Indians.This unity of the people and the country is under threat from the communal forces. While the people of India, Hindus, Muslims, Sikhs and Christians and many others fought together for independence, the communal ideology and communal organisations stayed away and instead sought to divide the people. The people rejected the communal ideology and India became a secular democratic republic.At present, the communal forces are once again seeking to raise communal issues and create communal tensions. In the light of the forthcoming Lok Sabha elections, the communal campaign has been intensified. This has resulted in outbreak of communal incidents in various parts of the country. The riots in Muzaffarnagar are the most glaring example. It is necessary for the secular and democratic forces to unitedly counter the communal forces of all varieties and maintain people’s unity. This Convention calls upon the secular and democratic forces to strengthen their efforts amongst the people and mobilize them for rebuffing the communal forces, preserve communal amity, defend our composite culture and strengthen the unity of the people”. 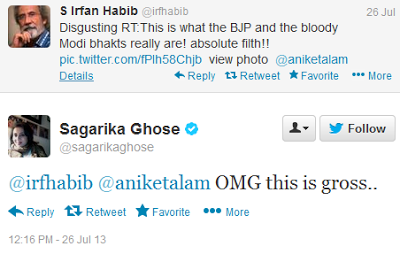 Here, also the work of Irfan Habib is noted. 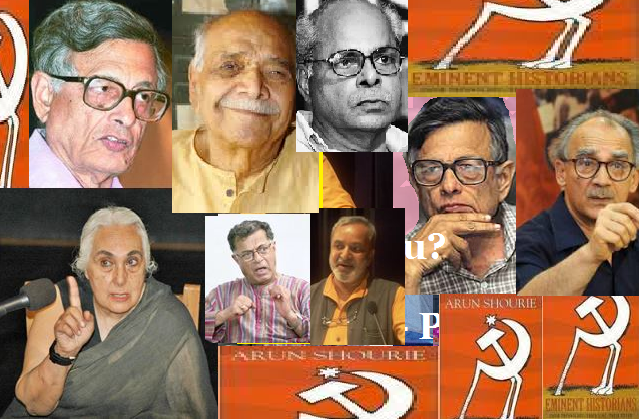 Therefore, now perhaps all these “eminent-elite” historians may join “Third-Front”! CNN-IBN debate on the “Third-Front” in which Raja, D. P. Trivedi of NCP and others participated on 30-10-2013. Hindu Temples of Tamilnadu under systematic destruction! T. S. Subramanian has pointed out the deteriorating condition of murals in temples many times. He should be congratulated to bring out such facts with concerned feelings expressed in his writings. However, the concerned and connected people have not taken any action to annul such vandalizing processes going on in the name of renovation, administration and other actions. The recent article “Targets of destruction” has been provoking, but we have to wait and see the response of the authorities. Target of destruction: He starts with the appropriate beginning: “Art, in more than 50 temples and three palaces in Tamil Nadu, is being mutilated” and explains the condition as follows: “Temples in Tamil Nadu are repositories of history, with inscriptions, sculptures, murals, bronzes, carvings, architecture and so on. The inscriptions provide valuable insights into the history of the period during which the temples were built, the village administration that prevailed, elections conducted for its assemblies, taxes collected, boards set up for the maintenance of lakes, ponds and canals, donation of land for Brahmin settlements, gifting gold for temple maintenance, etc. There are more than 50 temples and three palaces in Tamil Nadu with murals. The palaces are Ramalinga Vilasam in Ramanathapuram and those at Bodinayakanur near Madurai and Padmanabhapuram in Kanyakumari district. While just four or five temples have murals dating back to the Pallava period (seventh to ninth century CE) and the Chola period (10th and 11th century CE), the majority of the murals belong to the Vijayanagar and the Nayak periods (14th to 17th century CE). The Brihadeeswara temple in Thanjavur have murals belonging to the Chola, the Nayak and the Maratha reigns. Visual archives: The mural masterpieces are visual archives on the history of the period, coronation rituals, the dress or the jewellery that men and women of those days wore, their hairstyle, musical instruments, the battles that they fought, the weapons used and so on. There are several Jain temples that have wonderful murals based on the Jain traditions, the Tirthankaras and the Yakshis. A favourite subject of many of the artists of those times was episodes from the Ramayana and the Mahabharata, and some of the artists even took care to write the labels for the episodes (captions) in Tamil or Telugu. Unfortunately in Tamil Nadu, the murals, the inscriptions, the sculptures and carvings have become targets of destruction and vandalism. The officials of the Hindu Religious and Charitable Endowments (HR and CE) Department, who administers the temples, are to be blamed for this state. Most often, these officials fail to appreciate and preserve these splendid works due to lack of knowledge of history. How Meenakshi Temple was targeted? In the famous Meenakshi temple, Madurai, several historic mandapams have become shopping complexes. The Pudhu mandapam, the Ashta Sakti mandapam, Veera Vasantharayar mandapam and Meenakshi Nayakar mandapam teem with hundreds of shops, obstructing from view pillars with incredibly beautiful sculptures. A scholar on the history of the Meenakshi temple was displeased that its 1,000-pillared mandapam, with superb sculptures, has become ‘a studio’ now, with an incongruously gleaming granite floor, skewed focus lights and a big sculpture of Nataraja painted in black! Several years ago, the earthen bed of the temple’s famous ‘Golden Lotus’ tank (Pottramarai Kulam) was cemented up, with the result that no water stays in the tank now and it looks barren now. The HR and CE officials of the temple also whitewashed hundreds of beautiful murals, painted on the walls of the northern corridor of the Golden Lotus tank, portraying the ‘Tiruvilaiyadal,’ in the first quarter of 1996. In a state of disrepair: While sculptures and carvings can survive for centuries because they have been chiselled out of granite, murals are vulnerable to nature. Since these murals were painted with natural dyes on mandapam walls or ceiling, they easily lend themselves to vandalism from devotees. Besides, they are exposed to sun or seepage of water from rain. Gaps between the granite slabs that form the roof of the mandapams lead to seepage of water due to rain and the sidewalls begin to ‘sweat.’ The lime plaster which forms the base for the murals has a tendency to absorb the water. When rain water falls on the murals painted on the ceiling or walls, fungus develops and the murals start peeling off. Smoke from the camphor (lit by the devotees) and from the oil lamps damage the paintings. Besides, they suffer from desecration at the hands of the HR and CE officials and devotees. Officials have fixed scores of metres of electric wires on the murals on the walls of the mandapams, installed switch boxes and tube lights on them, as it has happened in several places on the splendid murals in the Devaraja Swamy temple at Kanchipuram, portraying the 108 Divya Desam murals. Other examples of vandalism: Extremely rare murals painted on wood in the Tirukkutraleeswarar temple at Tirukkutrala Chitra Sabha in Tirunelveli district have been vandalised. At the Siva temple at Patteeswaram, paintings were sandblasted in 1998 in the name of cleaning the surfaces on which they were painted. The paintings portrayed Lord Siva presenting a palanquin studded with pearls to the Saivite saint Tirugnana Sambandar because he could not bear to see his devotee walking in the sun. Temple officials sandblasted another row of paintings narrating the life of a mythical king who had no child but was blessed with a child after praying to Siva at Patteeswaram. Officials of the Lakshminarasimhar temple at Sevilimedu, near Kanchipuram, whitewashed them. They do not exist today. Tales of destruction and desecration of these invaluable murals in temples in Tamil Nadu do not end with this list. What happened to the paintings at the Meenakshi temple at Madurai, the Trilokyanatha Jaina temple at Tiruparuttikunram near Kanchipuram, another Jaina temple at Karanthai near Kanchipuram and the Ramalinga Vilasam Palace in Ramanathapuram town take the cake. Why this targested vattcks of vandalism? What the Mohammedan and the Europeans rulers could have done during their reigns is carried on in India, that too, after “independence” by the Indians by themselves. Ironically, “Hindu Religious & Endowment Board” under the control of proclaimed atheist, rationalist and particularly anti-Hindu ideologists for the last 70 years. The staff and officers entering into the department of HR&CE have been ideologists of all sorts of such category and some non-Hindus have also been there. And this vandalism is not done on one day, but carried on systematically. Whenever any official function comes, they carry out such destruction easily under the guise of celebration. The moment the temple comes under the control of HR&CE, any official comes into a temple, an office is constructed inside temple, that office is converted into some sort of lodge and then star-type accommodation, the temples start losing their sanctity. Perhaps, God is leaving the place. Under such circumstances, these modern day vandals, ideologists and rulers start their destruction. “Religion, Tradition and Ideology: Pre-colonial South India” by Champakalakshmi: A Marxist interpretation! South India‘s cultural past not confined to one religion: Prof. Champakalakshmi: The Hindu reports, “The empirical pre-eminence in the study of history in inscription-rich Tamil Nadu and a modern outlook on historiography combine to provide a fresh understanding of the past in a book launched here on Tuesday (05-04-2011). 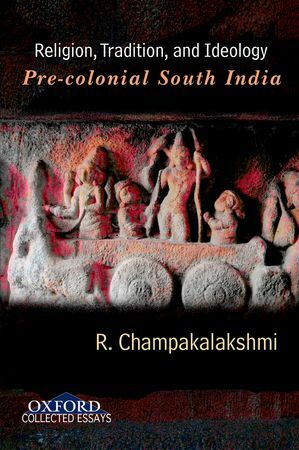 “Religion, Tradition and Ideology: Pre-colonial South India” (Oxford University Press) is a collection of essays by historian R. Champakalakshmi, discussing the origins and development of multiple religious traditions and their role in the evolution of a rich and complex socio-religious matrix in pre-colonial south India. Champakalakshmi, who retired as professor of the Centre for Historical Studies, Jawaharlal Nehru University (JNU), has debunked the usual simplistic continuities between Vedic times and the present day that is the staple of the conventional historian’s approach, and attempted to show how conflicting, even irreconcilable beliefs and practices, were incorporated into the Sanskritic tradition”. From “Indologist to historian and social scientist”: The report goes on to say, “As history is dying in schools and colleges, and he history teachers have been loosing their jobs, they have started crying wolf with changed roles. Thus, it is reported that “the work, which is the consummation of almost five decades of research during which the author “transformed from an Indologist to historian and social scientist,” sketches the emergence of Brahminism as a dominant tradition and the marginalisation of the “sramanic” religions — Jainism and Buddhism — in the socio-economic and political context”. 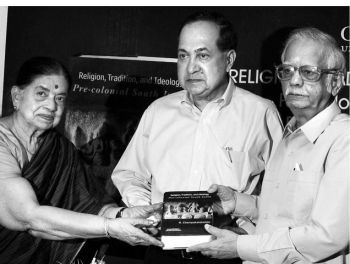 N. Ram, Editor-in-Chief of The Hindu, launched the book by handing over the first copy to Iravatham Mahadevan, an expert on Indus and Tamil-Brahmi scripts. Describing the publication as “rich in its material and many-sided in its historical offerings,” Mr. Ram said one of the notable aspects was the nuanced treatment of the interaction between the Brahminical and “sramanic” religions. The author’s approach to caste and community was a breakthrough contribution in understanding caste and its changing dynamics with the community as was her bold treatment of the hegemony of one religion in an otherwise pluralistic tradition, Mr. Ram said”. There existed no Vedic linkage to the term Hindu which first originated during the Vijayanagara period of the 14th century: The report goes on, “Mr. Mahadevan said the author in her role of historian was “a bridge between tradition and modernity,” a product of the University of Madras who held on to conservative values and yet blossomed to expand her perspective in the JNU milieu. Professor Champakalakshmi was someone who, while being rooted in tradition, brought to historiography the searchlight of modernity, he said. Professor. Champakalakshmi said her over 55 years of research and teaching had been “an eventful and fascinating journey” that took her through many untrodden avenues of India‘s historical past. Noting that south India’s cultural past was not confined to one religion — in fact, there existed no Vedic linkage to the term Hindu which first originated during the Vijayanagara period of the 14th century — Professor Champakalakshmi said she had studied counter-traditions (such as Jainism) to understand the historical processes that led to the dominance of Brahminism. Shashank Sinha, OUP senior commissioning manager, said the book was another illustration of south India‘s emergence as an important component of the publishing programme that ranges across performing arts, music and literature”. Hinduism to become the dominant tradition and ideology after its development and reworking: Under “Description”, the publishers give the following: “This book discusses the multiple facets, dominant characteristics, and historical trajectories of religious traditions in pre-colonial south India. It explores how Hinduism, primarily the Brahmanical tradition, developed and reworked itself in the context of challenges posed by Buddhism and Jainism to become the dominant tradition and ideology in south Indian society and polity. Examining the linkages between religion and politics, the volume also investigates alternative vernacular traditions, rituals and practices, temple architecture, iconography and other representational art forms that evolved as symbols of power. A detailed introduction weaves together the different aspects and introduces new questions for further research”. Religion is for the believers, as the ideology is for the Marxist historians: 55 years journey cannot compel the 5500 years old believers with their established belief system, that has already been tested many-many times. The branding of “Bhrahmanical” religion is a myth, as such gabblers never talk about “Khastriya religion”, “Vaisya religion”, and “Sudra religion”. In fact, they do not explain such “Varna system” existing in other religions. By interpreting the divisions of a society by caste, community by denomination, people by ethnos, or by any other expression the existing vertical or horizontal, social stratifications, or structural arrangements cannot be ignored or suppressed. Therefore, hegemonic interpretation alone cannot be used for such forced conclusion. Days, years, decades and even millenniums have been passing on and in such a milieu, the Hindu religion or the religion of Indians have been no doubt changing, but not ideologically. The question of ideological interpretation of Hindu religion, in the pre-colonial context, cannot take away the facts of underlying the so-called “Shramanic religions”. That Buddhism and Jainism to play crucial role during the Vijayanagara to Colonial period, they had to be resurrected and brought. Conflicting, even irreconcilable beliefs and practices, were incorporated into the Sanskritic tradition: In religion, that too, followed by millions of people at time and place naturally exhibit differences. In performing rites, rituals, ceremonies, festivals, the regional variance would be there in physical forms depending upon the natural differences. Whenever, any material required for performing rites, rituals, ceremonies, festivals, etc., are not available, substitutes are taken. Such practices, might be opposed by the traditionalists and conservatives initially, but, slowly reconciled, understanding the practical difficulties. This is just like Siva having moustache and beard or without them, as depicted in pictures and sculptures. But, Parvati never claim any “immaculate conception” to have Subramanya / Karttikeya like Mary! Krishna might be in blacks and blues, but, devotees love and like him like Radha and Meera. They would not preach ahimsa killing and eating animals like Buddhists. Even children or atheists know that “Ramarajya” is talked about by all ideologists and not about “Ravana rajya”! Even during the medieval and pre-colonial period, the other counter-traditions or anti-cultures had to thrive only on such “myths”, if at all, they disbelieve such “greater traditions and bigger heritages”. 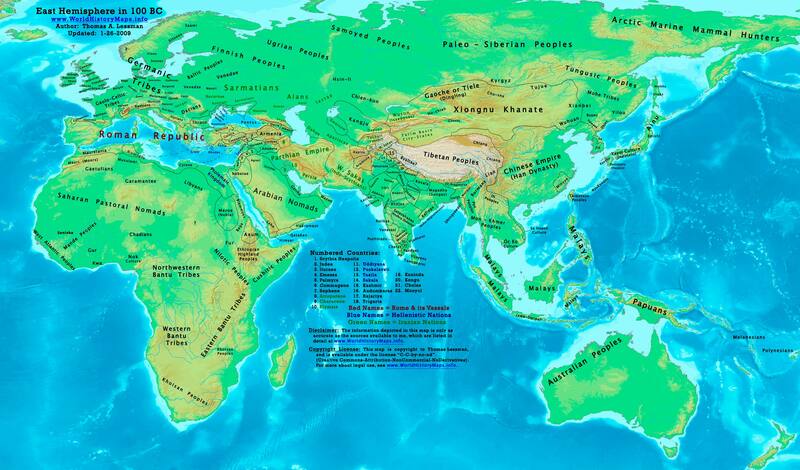 Ideological historians never demythologize other religions to present facts: The ideological historians can very well demythologize non-Indian, non-Bharatiya, colonial, Semitic religions to present facts behind the fundamental tenets, as they interpret Hindu religion. Why the Mohamedans issued coins with “Rama” or the British incorporated “Ramrajya” would not be discussed by these historians. Romila Thapar would not appear then and there and threaten with going on appeal against the Supreme Court judgments as in the case of Temple-mosque disputes. That is why believers or common people remember Rama’s bridge without caring for the engineer or the college where such engineer studied. In other words, instead of Rama, the Mohammedan and colonial forces must have issued coins with Ravana. “Shramanic” unbelievers or anti-Vedic followers would not have incorporated Lakshmi and other Goddesses for their profits. However, they would discuss about Hindus believers to copy from the Mohammedans to learn Advaita; to adopt syncretism incorporating Mohammedan philosophy; and so on without any conflict, contradiction or reconcilable accommodation. JG Jennings, The Vedantic Buddhism of the Buddha, A collection of historical texts translated from the original Pāli and edited by J. G. Jennings, Geoffrey Cumberlege, Oxford University Press, 1947. Ananda K. Coomaraswamy, Hinduism and Buddhism, Philosophical Library, New York, 1943. 2011 edition by Golden Eixir Press.